This post originally appeared on the Association of American Publishers' website and was written by Olusina Adebayo, Project Manager. The majority of banned books are disproportionally from diverse authors. The 2016 celebration of Banned Books Week (taking place Sept 25 - Oct. 1) will examine this dichotomy. The American Library Association (ALA) defines diversity as being “those who may experience language or literacy-related barriers; economic distress; cultural or social isolation; physical or attitudinal barriers; racism; discrimination on the basis of appearance, ethnicity, immigrant status, religious background, sexual orientation, gender identity, gender expression; or barriers to equal education, employment, and housing”. Diverse authors represent the marginalized factions of our society and the voices of those who are not often represented in mainstream outlets. This discrepancy, in regard to the banning of diverse books, is significant. The University of Wisconsin’s Cooperative Children’s Book Center (CCBC) and publisher Lee & Low have provided statistics from 1994 to 2012 that illustrate that while 37% of the U.S. population are people of color, only 10% of books published focus on multicultural content. 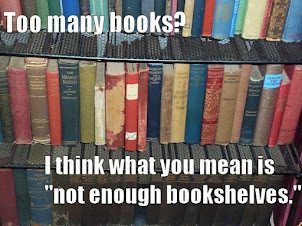 In addition, ALA’s Office for Intellectual Freedom, has determined that 52% of the books challenged, or banned, over the past decade are from titles that are considered diverse content. These statistics are troubling and create more questions than answers. Why are diverse books more likely to be banned and who is advocating the banning of these titles? According to the ALA’s statistics, the reason most titles are banned is because of the outcry of parents. These parents surveyed point to offensive language, violence, sexual content and age appropriate material as reasons for their protest. Because the definition of diversity stems from what is considered to be outside the norm it has frightened parents who want to protect their children from overexposure. Ideally, parents would want their children to be inquisitive and become independent thinkers. The banning and censorship of books stifles constructive dialogue and promotes division over understanding. Unfortunately, our society has characterized that which is different as being bad or off-putting. This story is basically broken down into three parts (and if you don’t want any spoilers about any of them, stop reading right now! ): there’s the backstory in the first third or so of the book; the small amount of time the characters are actually allowed to be happy; and the ending where Austin is possessed by a demon. One will be hurt and the other one killed. 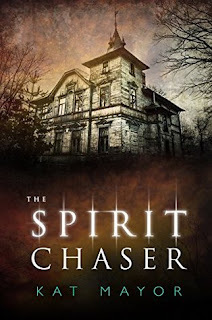 The opening scene is actually quite dramatic, as the crew of Spirit Chaser Investigations must fight a demon who has taken possession of their psychic Barrett. But, for reasons that we only learn much later in the story, this segment actually belongs with the last third of the book, not the beginning. The remainder of the first third or so of the book is the slow, boring build-up and stage-setting for the rest of the story. Most of it entails the portion where Austin tries to find a replacement for Barrett, even though he feels that he is irreplaceable. Enter Casey, an old friend of Barrett’s whom he recommends for the job. Unfortunately, Austin and Casey don’t exactly hit it off. To say that he’s a control freak, and she’s stubborn and opinionated, is quite an understatement. This first portion feels kind of stilted and fake; the characters hard to relate to, especially the two main ones. Yet I’m still not sure if that is because of the author’s actual lack of finesse initially, or if it is purposefully done to create an atmosphere approximating the intended feel of the situation. It takes Austin making a huge mistake - by doubting Casey’s interactions with the spirit world and bringing in someone else to appraise for the show a site that she had previously deemed void of paranormal activity - and then making an apology to her on air, to break the impasse at which they find themselves. From that time on, while there are still a few bumps to be smoothed out in their relationship, they finally come to see each other as worthwhile individuals, and ultimately admit the unconventional but undeniable attraction that they have for one another. At that point, for the middle portion of the book, for a small amount of time at least, the characters are actually allowed to be happy. This is where it turns into more of a romance novel than a paranormal story. We learn a lot of the backstory of the main characters, especially Austin and Casey, parts of their pasts that have caused them to be the people that they have become. We also get to see their relationship develop and progress. And witness what is possibly a little bit too much of their bedroom antics. There are a few ghost hunting scenes thrown in, some of interest and entertainment, but nothing of much import or significance. Mostly, it is a brief interlude where two people are allowed to bond and grow as a couple, making a relationship work that hardly anyone would have thought possible; and where the reader is given a brief respite from the real drama that is about to unfold. And then we come to the last section of the book. This is where it gets truly weird. Austin becomes obsessed with one particular haunted house, to the exclusion of everything else in his life, and ends up possessed by a she-demon who inhabits it. Things just go from bad to worse for the rest of the novel. We are subjected to lengthy, drawn-out descriptions of Austin’s drug- and demon-induced stupors, the horrible things that happen to him and that he does while possessed. We watch the hell that his friends go through trying to save him, blaming themselves for not seeing sooner what was happening over the weeks and months that his possession apparently came about. And then he commits suicide at the hands of the she-demon. I saw where another review noted that they “HATED the ending with the white hot passion of a thousand suns” – and I could not agree more!! The possession and the interim results of it are horrible enough. There is such a feeling of depression and despair that permeates the time they are at the demon house, trying to help Austin, that it is almost overwhelming. And then it all ends up being for naught when he dies. As Casey states: It’s a pitiful existence when all you have to look forward to is your own death. And then, unbelievably, it gets even worse! She walked over to the bed and sat down next to her dead, brain-damaged boyfriend. I understand that there is at least one sequel to this story in the works. But I can’t imagine what it is supposed to accomplish. If Austin were still alive, it could be the further adventures of Spirit Chaser Investigations. But with him gone, it won’t really be the same. Even if he is around as a ghost, all it will do is serve to make his friends, and especially Casey, sad all the time at what they can’t have with him. Not to mention if they have to deal with results of his brain damage. How does a ghost even get brain damaged anyway? And what can the future offer for him? A peaceful crossing over to the other side? Reanimation as a zombie? Certainly nothing very good. There were many things about this story that I still don’t understand. Like how the entity stole Austin’s breath in the first encounter of the book and he supposedly died then. The way that it occurred, it basically sounds like anyone at any time could be unknowingly taken over by a shadow entity and not even be aware of it. So why have everything else after that in the story happen? Why would the she-demon do all that she did in her attempt to possess Austin, if she or one of her minions already controlled him? And what his of relationship with Casey? Was any of it even real? Because wasn’t he dead and/or possessed the entire time that they knew each other? And how come not a single one of the so-called paranormal experts all around Austin all the time ever saw what was happening? These points just really bothered me. Hopefully, more will be explained in the next installment. Regardless of how much I did or did not like different facets of the actual storyline, there is no denying the emotions that it engendered in me. I was apparently really attached to these characters, because I felt so much anger, frustration, despair and sadness on their behalf. I truly had a book hangover from this work, the likes of which I have seldom experienced before! I received an electronic copy of this title free from NetGalley in exchange for an honest review. Bera is a humble troll, who minds her own business and grows pumpkins for the king in cheerful isolation on her little island. Then one day she happens upon a human baby who needs rescuing. Since everyone else in the land of the trolls wants the baby dead, there's nothing else for Bera to do except return the adorable little thing to the humans. Like it or not, she's gone and found herself a quest, especially after all the heroes she tries to enlist to assist prove less than helpful. 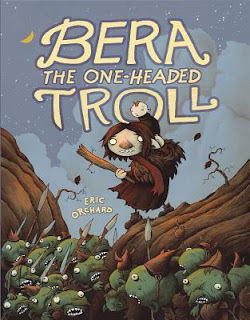 Needless to say, Bera's life is never the same again. I wasn't crazy about this graphic novel, even though I had heard many positive things about it and really wanted to like it. The drawings are reminiscent of "Nightmare Before Christmas," and just not to my taste. I found them messy and often hard to decipher. Also, the weird color palette of only oranges, browns and whites gave a weird, surreal and rather depressing atmosphere to the entire work. Many things, both big and small, are never explained. For instance, there is talk among the main characters about the baby being stinky and what to do about it, and in the next scene they are mentioning that diapers were packed for an impending trip, with no explanation of how they came to figure this out. The whole story just seems convoluted and unnecessarily confusing, and the whole endeavor just proves to be quite pointless in the end. Still, Bera is quite a loveable character (especially for a troll), and you can't help but root for her to succeed in opposition to the formidable forces allied against her. I really enjoyed this comic. 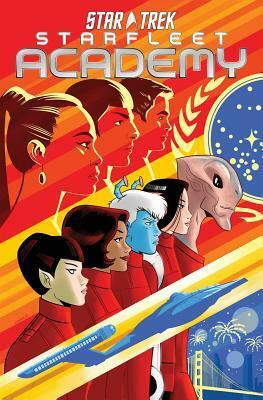 I am a "Star Trek" fan from way back, and I always enjoy a new take on that world, even this strange new incarnation. The visuals here were bright and clear. It was easy to tell the characters apart; which is often not the case in graphic novels and is a particular pet peeve of mine. Of course, the fact that many of the main players were species other than human did kind of help in that regard. The storyline was unique, interesting and exciting, yet easy to follow. I did think that the insertion of the crew from the Enterprise was an unnecessary distraction and meaningless bridge to the storyline of the new academy cadets. But other than that, I really enjoyed the work; so much so that now I want to go out and find all of the others in this series so that I can read them as well! This story of 16-year-old Hank begins with her ordinary life in dust-filled, post-zombie-infected Florida. She faces another normal, boring summer with her brother Ben on their Aunt Marty’s farm. Or so she thinks. 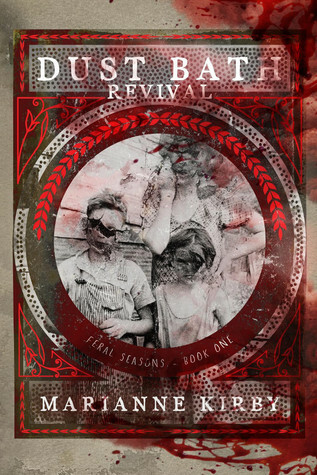 Things change when an itinerant preacher and his followers rent a field from the family and set up their tent revival freak show. From there, things take a turn for the worse and just become more and more sad and bizarre as the tale progresses. The account is basically broken up into three distinct sections: Hank’s life at home, during some travels, and when she reaches a temporary destination. The only trouble is – nothing happens in this book. And I mean – nothing! The narrative is almost entirely comprised of Hank’s thoughts and feelings, doubts and insecurities, musings and suspicions. But there is basically no action for the entire length of the tale. The inertia of things is especially pronounced given that this is supposedly a zombie book. There are only a couple of zombies in the whole story, both present just for a few moments, and one is in a cage. The only true action does come from one of these zombies – but it involves him eating a live squirrel, which is sad, gross and disturbing, but nevertheless does not seem especially meaningful. And we do get to hear all about Hank masturbating one time, but that definitely has nothing to do with anything, although I found it too rather weird and somewhat troubling. None of the different segments of the story seem to belong together. Although there is some little-understood or figured-out, but much-thought-about, conspiracy theory that Hank concocts to explain everything. This is an idea that may or may not actually be true, but that nonetheless doesn’t seem to be very coherent, let alone have any purpose or meaning. This book is apparently the first of a series, so perhaps everything will tie together and make sense later on. However, for now, it just seems like a confusing mess for no apparent reason. Basically, I just did not like this book, didn’t find it entertaining, and couldn’t wait to be done with it! Yet… the writing was quite good and did make me continue reading, hoping for more. The author’s words just flowed like molasses across the page, pulling the reader along into the story… that basically went nowhere. It might be enough to convince me to try another book in this series, and I would definitely consider other works she might produce in the future. I received an electronic copy of this book free from Curiosity Quills in exchange for an honest review. 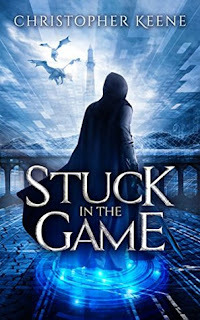 This is a very fun and enjoyable fantasy book! I don’t tend to be a big fan of middle grade fiction, but this was a notable exception. The writing was uncomplicated and the plot straight-forward enough for younger readers, but there were surprises at almost every turn. New and different things were constantly happening that you wouldn’t necessarily expect. Yet everything flowed together and the overall picture made complete sense. The fantasy elements of the story were very well developed without being overly complicated. There were some things that were quite confusing at first, but as more is learned about the back story, things begin to make more and more sense. And it all fits together wonderfully in the end. The characters were, by and large, very fun and quite believable. Some of the mannerisms and speech patterns for some of them were a bit odd, but it just served to make them seem unique. I loved that the story was seen through the eyes of a main character with autism. This brought a whole new perspective and approach to the situation. And as the mother of a son with autism, I appreciated just how real were Ryan’s many quirks, and how necessary his rules and order were to him. Seeing things from his viewpoint helped explain some of his behaviors and decisions. I especially enjoyed some of the methods that Ryan employed to overcome his more debilitating autistic tendencies. Although I did find many of them to be rathe suspiciously mature for a boy of his age. His most interesting cheat to me was his texting to his best friend Alison when he is unable to use his words to talk. 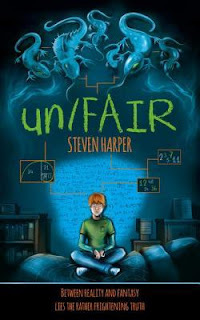 The thing that I disliked the most about this book, like almost all middle grade and young adult books, was how much Ryan and Alison hide from or neglected to tell his parents. 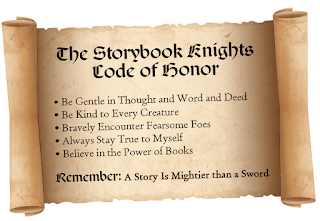 Usually, that is what puts the characters in a position to have the adventures that create the story, but as a parent I find it particularly annoying that many of their problems could be solved by simple communication with responsible adults. Nonetheless, I found the story delightful and would completely recommend it for middle grade readers on up. The story was self-contained and complete enough that it could be a stand-alone book, but there was definitely a lot of material left unexplored that it could be developed into a series. And I truly hope that the latter is the case! I received an electronic copy of this book free from Month9Books in exchange for an honest review. I absolutely love this book! I am a big fan of books and reading in general, and I have a special affinity for a good children’s book. But this one definitely exceeded anything that I expected. 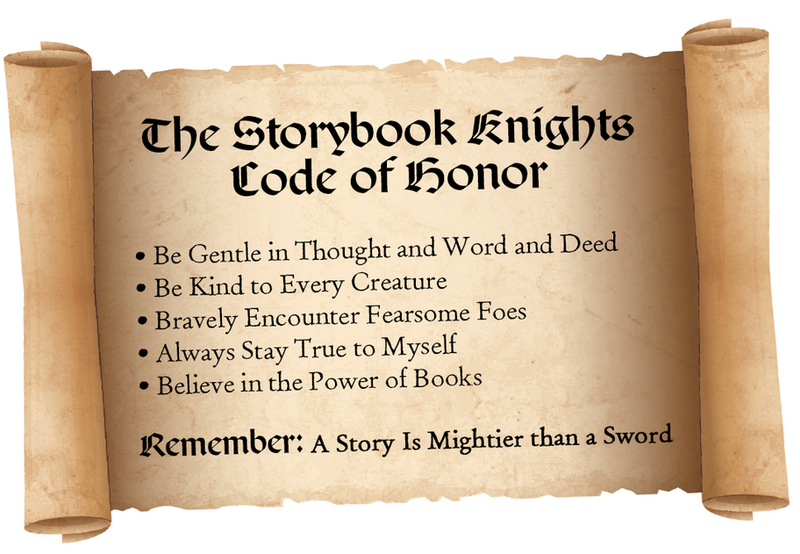 It has all the key elements of a great story: adventure, rhyming cadence, a knight in shining armor, a dragon and other fearsome beasts, gifts of books, etc. The small details - such as the pictures of the beasts in the stories that Leo reads to them - really made each scene seen unique and authentic. Despite his parents sending him out into the world (well equipped with a wooden sword, I might add) to make a name for himself as a famous knight, Leo is not at all interested in fighting. Instead, he wins over all the monsters with no violence at all. He even tames a dragon well enough to get him to clean up the mess he has made of a town. 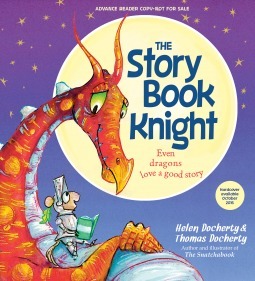 (Even dragons can’t resist a good story…) Leo accomplishes all of this simply by sharing stories with the creatures that he encounters, usually stories about creatures like themselves (with some changes, truth be told). In the end, his parents are forced to admit that knowledge and friendship have won out over brawn. 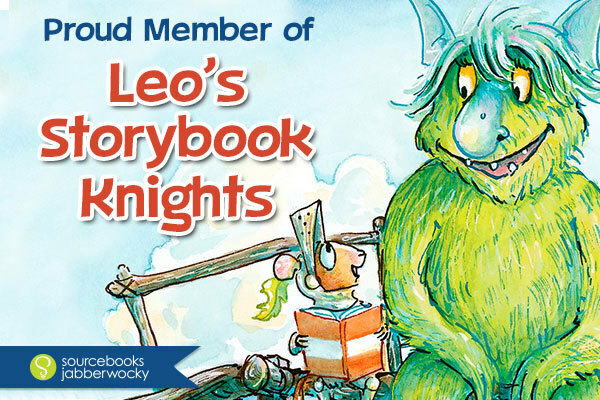 And so they leave Leo alone to read his books -- with all of the new-found friends he met along his journey! I received a free copy of this book from Sourcebooks, as part of their kickoff blog tour, in exchange for an honest review. 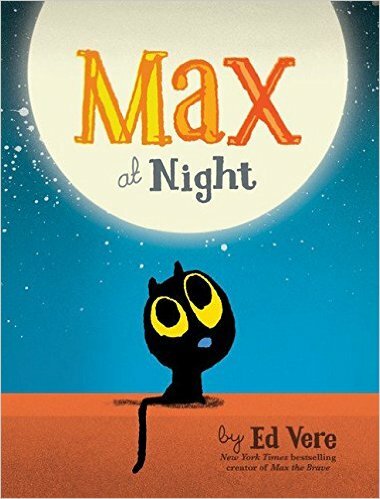 Max at Night is a charming tale of a darling little kitten who wants to say goodnight to the Moon before turning in one night. I wasn’t personally all that impressed with this book, but that isn’t to say that I don’t think it would be a good choice for a toddler. Just in these first couple of pages I was highly annoyed. First off, since most cats are lactose intolerant, I hate seeing books (especially recent ones) that perpetuate the myth of a cat enjoying a lovely bowl of milk – and not being sick afterwards. Although kittens can tolerate cow’s milk better than adult cats, it still isn’t the best thing for them. Max’s reasoning on how he might find the moon is actually quite sound, especially for a toddler. But while I can see him climbing on top of the dog and even clambering up the tree, I have a hard time trying to figure out how he got on top of the house, let alone the skyscraper. 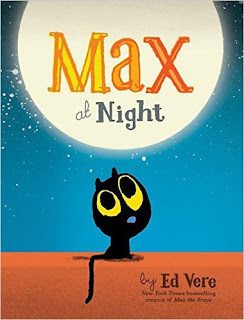 And I was a bit confused as to why the author chose to anthropomorphize the Moon but not any of the other inanimate objects with which Max (at least attempts to) interact. Watching Max’s temper tantrum – when after much effort he is still unable to find the Moon – is quite amusing. That it produces an answer to his dilemma is very fortunate indeed, for him and for the reader. The actual interaction with the Moon is delightful, and it allows Max to begin the long journey home where he can finally go to sleep. Children should especially enjoy that he takes almost the same route home – even walking over the sleeping dog – as he does when he sets out on his journey. The simple drawings are good in that there isn’t a lot for kids to explore or decipher in them, yet they are clear and concise enough to support the story. The muted pallet is a nice touch for a book that is meant to be read at bedtime, as it keeps things from being too stimulating and provides a good segue into lights out. Overall, even though my excessively critical adult eye had some issues with this book, I do think it makes a pretty good choice as bedtime reading material for a toddler. The writing of this book is quite good. The author was able to give a fairly distinctive voice to each of several main characters, making each of them individual and unique. There was quite a lot of clever dialogue, much of it rather sarcastic (which I tend to enjoy). The underlying premise of inherent magic is intriguing, and learning about how it colors this world was interesting. Although I did have trouble with the concept that one was born with a certain type of magic (dark or light), and couldn’t do much to change what they were or would become. The ending was totally bizarre and extremely anti-climatic, making me wonder what was the point of the whole story. Overall, I just don’t think that this series is for me. I could not get past the fact that one of the main characters is an adulterer who hides from his wife not only a years-long affair, but also a couple of secret kids - whom he then brings home and expects his wife to welcome with open arms. Another major player is a child molester who scars his conquests with cuts on their backs every time he abuses them. And a third person rapes his brother’s girlfriend - while their sister looks on. Overall, a very dysfunctional family, living in a world that I found highly disturbing. I received a free eBook copy of this novel from the author in exchange for an honest review. Here again is yet another in the latest series of books I have read that I just have not enjoyed very much! 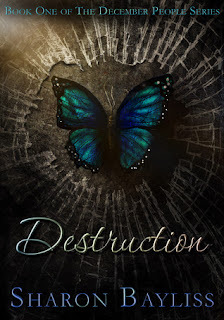 The premise of this book sounds amazing! But it just didn’t deliver for me. As the story begins, Noah has been in a car accident and is in a coma. Somehow, the doctors are able to hook him up to the Dream Engine, a virtual reality helmet that immerses him in an online fantasy game. The main premise is that he needs to stay alive in the game or he will go into a coma in real life. Except that he is already in a coma, so that doesn’t make any sort of sense at all. And regardless of this, Noah makes a lot of stupid choices and takes some ridiculous risks. The first several chapters were backstory, probably necessary for setting up the parameters of the tale, but boring nonetheless. The extensive tutorials were especially mind-numbing. And that’s from someone who is a non-gamer, who probably needed at least some basic framework for what was happening. For people familiar with gameplay, it would probably be even more tedious. There’s no way my teenage kids would sit through all of that in a tutorial, let alone read it in a book. They just jump right in and start playing the game. Overall, there really isn’t anything that pulls you into the story. Noah’s real life girlfriend, Sue, was also involved in the car crash, and she is near to death throughout most of the narrative. Not only do we learn hardly anything about her during the course of the entire book, but Noah doesn’t seem to have any real connection to her, even less so than he does for the other characters in the book, most of whom he has only recently met in a virtual setting. He actually refers to her as having a “mousy face.” Seriously?? That’s how he thinks of his girlfriend that he is supposed madly in love with? At the same time, he very minutely describes the face, hair, and especially body of every female character that he runs into in the game. He certainly doesn’t let his feelings for Sue stop him from getting involved in a very weird and awkward wanna-be love-triangle with a couple of girls in the game. And yet we’re supposed to believe that he is so in love with her that he’ll risk everything, including his virtual and real-world life, to try to save what he believes is a portion of her personality? It just doesn’t ring true for me. At every turn in the story, there is the suggestion of a conspiracy. Some things do end up being part of a bigger agenda on behalf of the corporation running the game. But many others are just never explained or followed up on. And what in the heck is going on in the real world while all of the gameplay is happening? If the powers that be for the Dream Engine are so intent on finding information that they believe Noah or someone close to him has, why aren’t we hearing about them harassing his friends and family in real life? I really wondered why, if they can cut Noah off from being able to access his spells and possessions, as they do in one of the final battles, why couldn’t they have just haven taken the item they are seeking from his inventory long ago? Or even just deleted it, since it is, after all, just a virtual game. The ending had to be the dumbest part for me. Noah knows that his friends are in danger, and that the culprits won’t stop going after them, in the game, and quite possibly in real life. But he just proceeds to leave them, with hardly even a farewell or explanation. Is this really the end of the story?? Or is there a sequel in the works? Either way, I found it to be a totally lame ending. If you enjoy monotonous stories with extensive descriptions of gameplay, and if you have a very strong ability to engage a willing suspension of disbelief, this may be the book for you. Otherwise, I wouldn’t really recommend it. I received a digital copy of this book from Future House Publishing in exchange for an honest review.